Popular beauty queen maker Jonas Antonio Gaffud clarified his role as creative director for Miss Universe Philippines Brand under IMG Universe as appointed by the Miss Universe Organization based in New York recently. The task of screening, judging, and selecting winners is still managed by Binibining Pilipinas Charities Inc., which organizes the annual Bb. Pilipinas beauty pageant. “For now, we are targeting online media and on ground events. First is powerful women empowerment videos, second is Island Tour to promote tourism (our videos will be different from past pageant videos), and a fashion event where we aim to raise funds for advocacy every year,” he said. 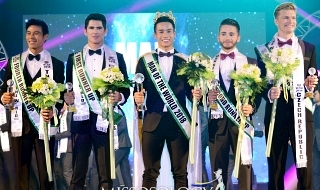 “I will only be present in those three events, and for others, just to suggest lang like, the style of shoes (which I am already collaborating with Jojo Bragais) aside from helping his brand too, swimsuit (if we find a sponsor), change from numbers to hometowns, cities or provinces (same concept just like Miss Earth Philippines),” he said. “For the program, we want it to be more exciting but since time is too short, we have little changes as of this time” he added. “So we are here to focus on the brand Miss Universe Philippines,” Gaffud added. On April 1, Gaffud announced he was leaving the Aces and Queens camp which he headed for 18 years. The camp has produced popular winners, including Pia Wurtzbach who won the Miss Universe 2015 title following a 42-year drought for the country; and Megan Lynne Young, who emerged as Miss World 2013, the first for the Philippines. It will be great collaboration I suppose, to expand the product, besides Bb. 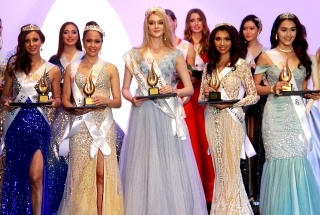 Pilipinas is the most watched Local Beauty Pageant in Asia Pacific --- All other pageant afficionados all over the world, the universe rather are tuned in to this event, they can really make it more profitable for them. Good thing its clarified that he has no "selection" inputs as of presstime, to remove doubts on the outcome of the event. Credibility is still very crucial in any contest. But We all know that Jonas is being groomed to be something more, his present status will not be the end game for him, so this is going to be exciting. The real winner here will be the audience and candidates! The clarification is a bit tricky for me. 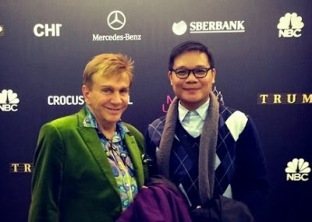 While I see the good intention of the role that he plays now, it should be underscored that the bb pilipinas manages so many brands, 6 if i am not mistaken and his role is to manage only one brand which is miss universe philippines which in turn is under one management umbrella handled by bb pilipinas charities. If his role is to suggest and collaborate with bb pilipinas charities on certain aspects of staging the pageant, then his role crosses over to other brands which is not under his pronounced responsibilities. Does it mean now that whatever his inputs to the management of the miss philippines universe brand will also be used in the management of the other brands? This is a conjecture based on the fact that the pageant is held not only to select the representative to miss universe but also to other pageants as well. In this sense, a clear line of responsibility and accountability must be drawn particularly since other brands have their own particular requirements as well. 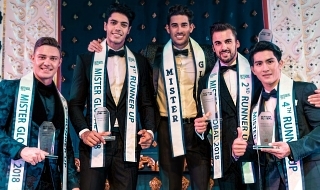 His role therefore needs to be really clarified further for his opinion muddles the whole activities of the pageant. dancabug wrote: The clarification is a bit tricky for me. While I see the good intention of the role that he plays now, it should be underscored that the bb pilipinas manages so many brands, 6 if i am not mistaken and his role is to manage only one brand which is miss universe philippines which in turn is under one management umbrella handled by bb pilipinas charities. If his role is to suggest and collaborate with bb pilipinas charities on certain aspects of staging the pageant, then his role crosses over to other brands which is not under his pronounced responsibilities. Does it mean now that whatever his inputs to the management of the miss philippines universe brand will also be used in the management of the other brands? This is a conjecture based on the fact that the pageant is held not only to select the representative to miss universe but also to other pageants as well. In this sense, a clear line of responsibility and accountability must be drawn particularly since other brands have their own particular requirements as well. His role therefore needs to be really clarified further for his opinion muddles the whole activities of the pageant. He will focus only with MUP, not with other titles. I think MUP is now a sole entity working hand in hand with BPCI. however, the remaining titles are under the umbrella of BPCI. Yeah and when the winner for MUP has been selected, then could there be other functions to bring along the brand together. The announcement was not made in haste. It wasn't intended to be a spur of the moment decision. MUO/IMG is very careful and sensitive about possible overlapping and duplicated functions. I'm sure MSMdeA won't allow any intrusion to the processes that will cause a rift between key personalities because the relationship between the MUO and BPCI dates a long way back. Jonas has specific responsibilities to pursue and he's bound to abide by his boundaries. It's not a matter who reports to whom it's more a matter of transitioning the brand to make MUP responsive to the particular exigencies and need. BPCI has to evolve and MUP is one way to start the re-invention. I suspect that what will end up happening eventually is for the search for the MUP to become a separate event from the rest of the Bb titles. MALINAW NAMAN SIGURO NA HANGGANG MUP EVENTS LANG ANG HAWAK NI JONAS? KUNG SAAN ANG EVENTS NA KINAKAILANGANG MAY PRESENSYA NG KOKORONAHANG MUP EH NANDON SYA. OTHER THAN THAT, STILL BPCI ANG MAG AASIKASO SA BAGONG MUP...I THINK MAY DETAILED TIMELINE NAMAN NA SIGURO NA GAGAWIN BOTH BPCI AT MUP-JONAS. drew_andrew wrote: MALINAW NAMAN SIGURO NA HANGGANG MUP EVENTS LANG ANG HAWAK NI JONAS? KUNG SAAN ANG EVENTS NA KINAKAILANGANG MAY PRESENSYA NG KOKORONAHANG MUP EH NANDON SYA. OTHER THAN THAT, STILL BPCI ANG MAG AASIKASO SA BAGONG MUP...I THINK MAY DETAILED TIMELINE NAMAN NA SIGURO NA GAGAWIN BOTH BPCI AT MUP-JONAS. hmmm ...magkakaroon kaya ng chances where in sa mga ibang events eh MUP lng invited at hindi kasama ang ibng title holders vice versa? like separate activities and personal appearance for MUP only? YES. ANG CHALLENGE DITO DAPAT PULIDO ANG SCHEDULE AT TRANSPARENT ANG MUP-JONAS SA BPCI AND VICE VERSA NA HINDI SILA NAG OOVERLAP NG 'FUNCTIONS' AT HINDI YUNG NAGHIHILAHAN NG REYNA MAISABAK LANG SA ACTIVITIES. MAS STRESSFUL ITO SA KOKORONAHANG REYNA NA MAGIGING MUP DAHIL LEFT AND RIGHT ANG COMMITMENT. Nangyari na ang mga nangyari. Let's just accept the fact that he is now part of the MUP Org. Let's not think or analyze too much on his new role. Let's focus on supporting the girls for this year's pageant. Hobbies/Interests: Surfing the net, watching TV, reading blogs. Timot wrote: Nangyari na ang mga nangyari. Let's just accept the fact that he is now part of the MUP Org. Let's not think or analyze too much on his new role. Let's focus on supporting the girls for this year's pageant. Binangit niya ba talaga ang Miss Earth Philippines? Akala ko allergic siya Miss Earth kasi mali daw ang gamit nila sa sash. There is more to this than meets the eye. Jonas seems to be a transitionary figure to get to know everything in running MUP franchise which eventually will be under the Singsons in the near future. The dice has rolled and the MUP will definitely be out of the Aranets' hands. Sadly, but it seems the decision has been made by MUO/IMG. He should stick to training beauty queens. He's not bright enough to handle other things. Message: Don't you just love trannies? Pero hindi lang naman sila gumagawa nyan, kahit PinoyBigBrother at kung anu anung variety shows, parang ganun din. Never been there pero Nanay nila Taga duon, kakatawa nga. Mas grabe naman ang Miss Venezuela, inaa-ssign lang sa kanila ang place or district, never been there din cla, not even so distant relatives. xis wrote: Binangit niya ba talaga ang Miss Earth Philippines? Akala ko allergic siya Miss Earth kasi mali daw ang gamit nila sa sash. This will be a continous Tug of Power of the franchise. yes, he took the concept of municipality/province representation of each candidates, ang pinagkaiba nga lang sa MEP eh those girls really came from those provinces. peg nya tuloy ang MEP at eto pa he will be working with Jojo Bragais, eh akala ko ba hate nya si JOjo kasi isa sya sa mga tumulong kay Catriona. anu to plastikan?